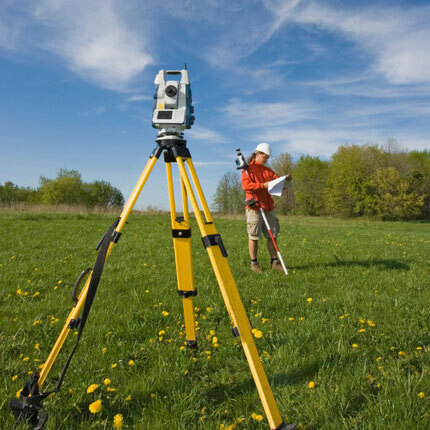 BOUNDARY SURVEYS - Seiler and Craig Surveying, Inc.
A boundary survey for a new tract of land establishes, defines, and preserves property corners and lines. 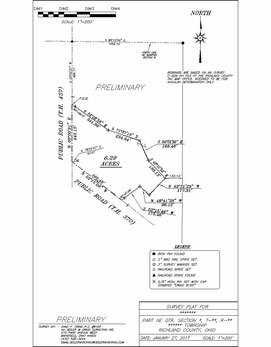 A result of a boundary survey is the physical monumentation of boundary corners, a plat (drawing) of the project, and a description of the surveyed premises. 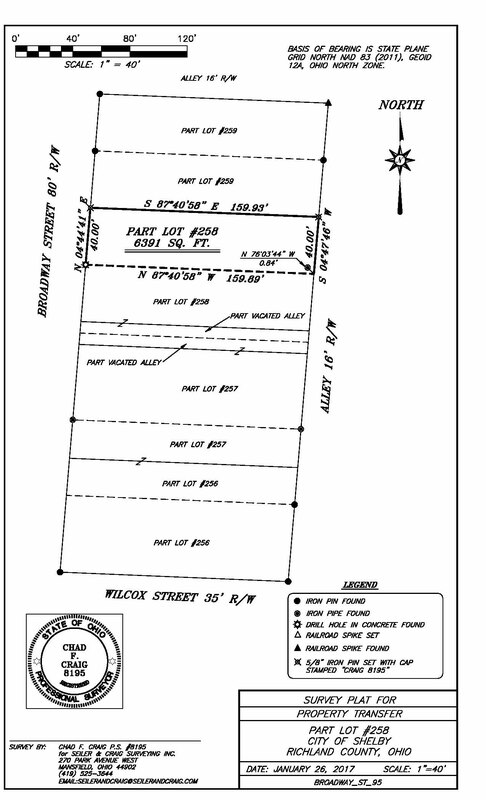 Boundary corners are generally marked with, or referenced by, 5/8" solid iron pins driven flush to the top of the ground and topped with a plastic cap stamped "SEILER AND CRAIG". Spikes are used to mark corners that fall within paved surfaces. Wooden stakes are used to witness the location of the actual corner markers. 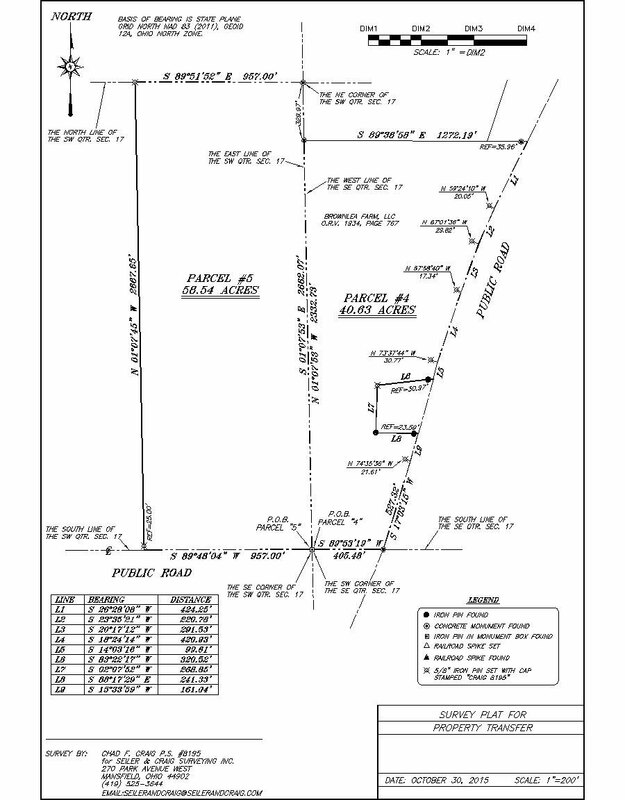 The plat of the survey shows the area and configuration of the parcel relative to reproducible landmarks, contiguous properties, etc., and contains other information such as the surveyor's name and seal. 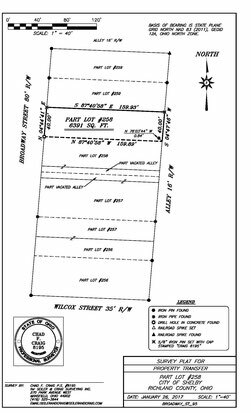 The description of the property is a written account of the tract and is used for the legal description portion of a deed. The State of Ohio has specific requirements for boundary surveys which are met. 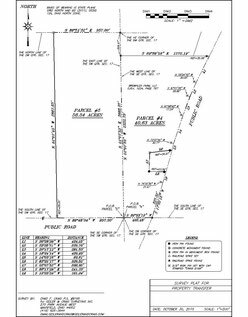 A boundary survey for an existing parcel of land retraces the lines called for in deeded properties, and re-establishes property corners. New corner markers are set if existing corner monumentation is not recovered. 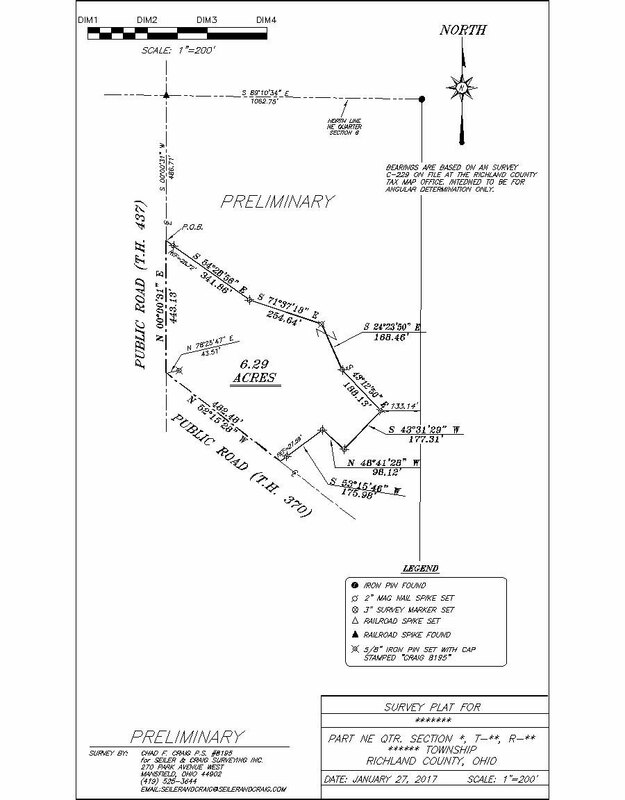 The plat and description generated by this survey are of the type discussed above.